In November 2007, I wrote about the shift in internet traffic away from Yahoo, Microsoft and AOL/Netscape. For its part, Microsoft would not end its takeover bidding for Yahoo until May 2008. By then, both companies had begun their inexorable slide from internet ubiquity and dominance. For its part, Netscape became obsolete and unsupported by AOL, its parent company since 1999. Now spun off, AOL continues to flounder. Beginning in 1995, Microsoft made history by giving away its Internet Explorer 1.0 (IE) browser. During its existence, Netscape received scant revenue from its users. Even so, dirty tricksters sent email chain letters warning that Netscape would soon dun every user $50. Almost immediately, Netscape’s market share dove, while Microsoft's rose just as quickly. Hotmail rode on one of the earliest internet email platforms. Still, it was better than Netscape’s and thus Microsoft’s 1997 purchase of Hotmail drew email users away from Netscape. Although spam emails were already a problem in the late 1990s, no one knew that spam would someday represent between fifty and ninety percent of all emails sent. Microsoft/Hotmail and Yahoo’s revamped Rocketmail left both giants with technically crude email platforms. As we learned with the MS DOS operating system, the original architecture often determines the limits of change within a program. During the past fifteen years, first Netscape, then Microsoft and Yahoo took turns dominating internet search and internet email. By building on their market power, Microsoft at one time owned the largest share of both search and email. Today, none of our featured companies dominates either internet search or email. That honor went instead to a next generation internet start-up known as Google. Not until 2006, did Twitter’s first Tweet chirp on the internet. In early 2007, when Twitter became a separate company, MySpace owned over eighty percent of the social media market. Although gaining fast, Facebook had yet to go beyond a ten percent market share. At MySpace, each user controlled the content on one HTML page. Whatever MySpace gained in simplicity, it lost in flexibility. After old-media dinosaur News Corp. purchased MySpace in 2005, they stifled change. After its 2011 spin off, MySpace users still control content on only a single webpage. With its later launch date, Facebook drew on technology similar to Microsoft's “active server pages”, or ASP. Each Facebook user’s home page displays a host of interactive elements. Facebook’s network effect and ubiquity make it all that some users have time for on the internet. Ironically, Facebook achieved what AOL first attempted, which was to encompass and dominate the internet experience of its many users. What shall be the future of our internet giants, both old and new? Will the masses still follow the tweets and rants of celebrities and fools? Will we still “friend” each other on Facebook or “+” each other on Google+? Texting is here to stay, but it lacks email’s ability to persuade in a longer form. As long as people can write, they will want to ramble on in a textural format. Spammers have hijacked every AOL or Yahoo email user that I know. 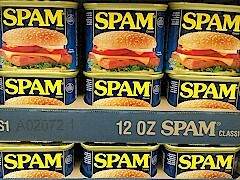 Recently, my Hotmail address was hacked and used by spammers. Despite several attempts to reclaim my Hotmail address, Microsoft could not verify me. In that process, Microsoft lost one more internet email customer. For reasons similar to the rise of Facebook and Google, the old internet giants will slip further. 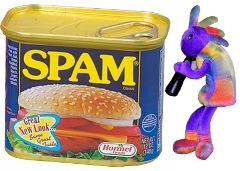 The underlying architecture of AOL mail, Hotmail and Yahoo mail will sink further into a quicksand made of spam. When you access your Yahoo mail or Hotmail, the content display relies heavily on Java script. The demise of AOL and Yahoo mail will come from their over-reliance on that Java script. If you have any doubt, access your Yahoo email via a slow modem. There you will see one element at a time dished to you by the email servers. Relying on executable commands, “robot.txt” or “bots” have learned to exploit vulnerabilities within script-based email systems. I do not blame every internet problem on the Russians, but every day half a dozen Russian websites crawl this blog, utilizing Java script-bots. With compact Java code, their bots seek out security gaps, including login locations and procedures. Once found, a high-speed computer might be employed to crack a login/password system. If the robot hackers can “crack” my website or your email password in five minutes or less, it is worth the time spent. Usually, you can retrieve your identity, but not before the indignity of spamming everyone in your online address book. Each time AOL, Yahoo or Hotmail loses another email user to the spammers, they lose a customer forever. Whether Google will still be around one hundred years from now, I cannot say. Still, my Gmail user friends never have to offer apologies because their email addresses were hacked. As with Facebook’s advantage over MySpace, when Google designed Gmail for its 2004 introduction, it had the benefit of the learning curve. Although I cannot say how Google did it, their Gmail system seems impervious to script-based password hacks. When comment-spammer Good-Finance Blog invaded my website, I spent hours getting rid of nefarious phishing comments and links. Finally, I installed an “include file” at the very top of my website code. Through manual entry, my “top_inc” include-file now blocks a long list of spammers’ Internet Protocol (IP) addresses. Before gaining access to my website, comment spammers now receive a redirect to the FBI website. While AOL, Hotmail/Live and Yahoo email users often receive more spam than legitimate email, Google has changed the rules for that game. At the top of their Gmail server code, Google installed their own version of a “top_inc” include-file. To be sure, some spam still gets through the Gmail system, but not for long. As quickly as Gmail’s many users report spam messages, Google denies access from the offending server. If the spammers deploy a wider range of IP addresses, Google can refuse email from a given country or region. No company is perfect, Google included. Their lapses in user privacy policies are well known. If any company will still serve up email to its future clients, I bet it will be Google. AOL and Yahoo will remain niche players only for the near-term. Ultimately, hackers will end their former status as internet search and email giants. Recently, as Yahoo News gleefully reported, AOL announced that its once vaunted patent library is for sale to the highest bidder. A stance like that does not inspire confidence in the future of AOL.